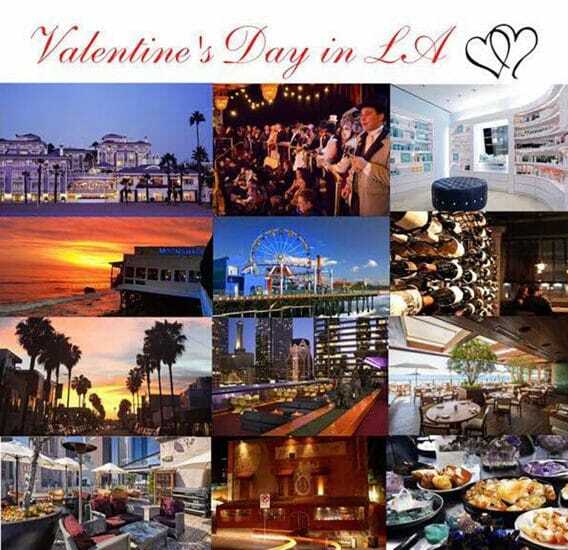 Whether you’ve been in a relationship for a month, you’re married, or you’re single, here’s how to plan the perfect Valentine’s Day in Los Angeles, ranging from budget friendly to going all out. Check out DTLA Walking Tours, Haunted Tales. Take a trip to the The Broad Museum, and read about my visit here. Head to the Huntington Beach Canals for a Sunset Gondola ride. Have a romantic hotel night at Shutters on The Beach. Have a relaxing spa day at your favorite spa or check out Bliss Spa, Ritz Carlton DTLA, or Burke Williams. Sip cocktails at one of LA’s best rooftop bars, The Standard Downtown, Skybar at the Mondrian, High Rooftop Lounge, or Moonshadows Malibu. Plan a beach day- Start with breakfast at Cafe Vida, head to Abbot Kinney to do some shopping, have lunch at Malibu Farm located on the Malibu Pier, enjoy the sun and scenery at Paradise Cove, and watch the sunset at The Santa Monica Pier. Take a road trip up the coast to Santa Barbra, or down the coast to San Diego. Head to the Natural History Museums Delight in Diamonds: Rare Brilliance exhibit. Plan a movie night at home, with a homemade dinner. Attend a wine tasting at Everson Royce, or Colorado Wine Company. Have dinner at one of LA’s most romantic restaurants, Nobu Malibu, One Pico, Pace, Perch LA, Catch LA, or II Cielo. Call out sick and head to the Zuma Beach. Check out the Mortified Doomed Valentine’s Show at Wanderlust to hear dating experiences probably worse than your own. Head to LAX Shooting Range to blow off some steam. Book a cooking class with friends at Cook LA. Attend an Anti-Valentine’s Day Party at Bird’s Cafe and Bar. See comedian Iliza Shlesinger’s show at The Wilshire Ebell Theatre. Have a pre Valentine’s Day at Angel City Brewery’s Broken Hearts Circus . Check out The Museum of Broken Relationships. Get centered and release any negative energy at Spellbound Sky. Be sure to check out my Valentine’s Day Gift Guide to find the perfect gift.